Well it has been a long cold winter and I am sure all of are members are itching to get out on the golf course. Well it will be a while here in Colorado and also in Georgia. 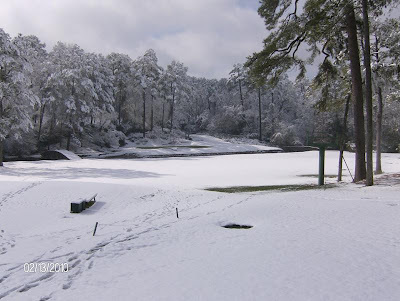 Take a look at these pictures from Augusta earlier this month. The weather pattern this winter has been one for the record books all over the country. 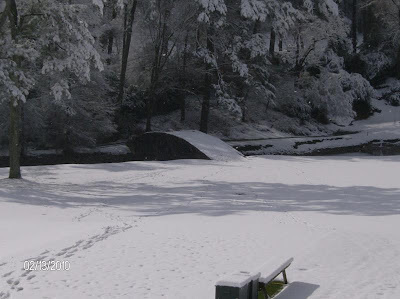 From record snow fall back east and in the south and a lack of snow in Vancouver B.C. I am sure the Olympic committee would like some of this snow from Augusta for the Olympic ski runs.